No one knows if President Luiz Inácio Lula da Silva, reelected on October 29th, will fulfill campaign promises in his second term such as those to not reduce rights of retired persons or to prioritize the poor. What is certain is that Brazil’s Landless Rural Workers’ Movement (MST) has already begun to fulfill theirs. Besides having supported Lula in the second round, facing the threat which the candidacy of PSDB’s Geraldo Alckmin represented, the movement increased the pressure for agrarian reform. * and updates of productivity indexes. According to the Law of the Summary Rite, the papers should be signed within 48 hours of the purchase. However, some judges take years to make the land seizures official. The productivity indexes utilized today by INCRA as parameters for the land seizures are from the 1970s. In other words, they are 30 years out of date. Despite reiterated promises, the government still has not updated them. In the state of Rio Grande do Sul, the MST carried out protests in Arroio dos Ratos, Eldorado do Sul, Santana do Livramento, São Gabriel and São Borja. The movement requests from INCRA the completion of the settlement goal of 1,070 families in 2006. As of now, only 98 were settled. Furthermore, they are demanding the seizure of Guerra, Dragão and Southall farms, which would make possible the settlement of the 2,500 families camped in the state. Together, the three have an area of 23.5 thousand hectares. Each hectare is more or less equivalent to a soccer field. According to a note from the MST state coordination of Rio Grande do Sul, in the early morning hours of November 14, the Military Brigade, connected to the state government, once again psychologically tortured an occupation in São Borja. Car sirens were blared, the police officers screamed insults at the landless workers and, around 2:30, fired rounds of bullets above the huts. A similar event had already occurred in March, in Coqueiros do Sul. In Paraná, Via Campesina, an entity in which the MST participates, occupied once more the farm of transnational Syngenta Seeds, in Santa Tereza do Oeste, on November 13, the same day in which the state government confirmed having declared the seizure of the area due to the illegal implementation of transgenic experiments. In the capital, Curitiba, approximately 600 landless workers camped out in front of the headquarters of the INCRA Regional Superintendent, demanding updates of the productivity indexes, changes in economic politics and the expansion of Itinerant Schools in the encampments. On the 14th, they marched to the Tribunal of Accounts of the Union (TCU) to resume the technical assistance agreement in the settlements. Approximately 8,000 families are camped in the state and only 3,000 were settled in the four years of Lula’s government. The goal was 9,000. In Ilha Solteira, in the northwest of the state of São Paulo, approximately 300 landless workers occupied a branch of Banco do Brasil on November 14. 1,500 families are camped in the region. In the region of Pontal do Paranapanema, in the western region of the state, 170 families occupied two farms (one in Rosana, the other in Rancharia) on the 10th, already acquired by the Land Institute of São Paulo but not yet designated for settlement. On the November 12, the landless workers who occupied Porto Maria farm in Rosana were attacked by 20 guards at the orders of Miro Conti, "grileiro" (an owner who has taken illegal possession of an area through the use of falsified documents) of the area. Even women, children and elderly people were assaulted. In Aracaju, the capital of Sergipe, members of the MST who study Agronomy in the Federal University of Sergipe (UFS) occupied the INCRA headquarters on November 13 to demand an end to the withholding of resources necessary for the continuation of classes for the landless workers. On the 14th, INCRA guaranteed that it would release the funds, available since last year. In the municipality of Sobradinho, in the Federal District, approximately 200 families occupied Sálvia farm, a grilagem area which rightfully belongs to the TCU, demanding its seizure. 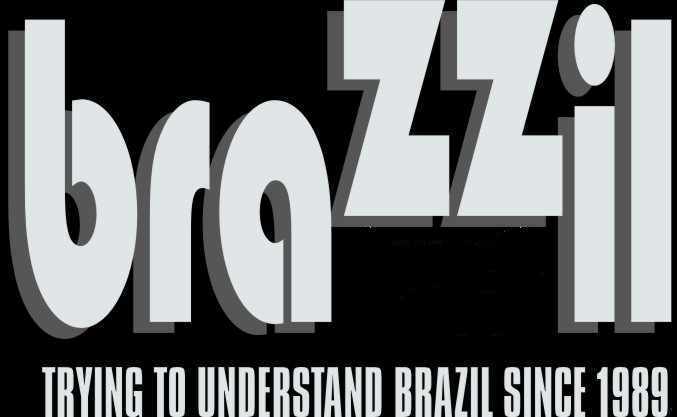 Igor Ojeda writes for Brasil de Fato – www.brasildefato.com.br. this then became a matter of why dont you use our place to get your wire , bricks , cement , pipe .food. they did not like what my wife told them. and the police and the courts and i are still in court about my boat so they feel they can jerk my chain eny time they want with you can loose your land and be deported again . Many foreigners are unaware of the really important differences between Brazil and some other countries. First, whatever is found in the subsoil is considered to belong to the government. There will never be Brazilian Beverly Hillbillies. Second, squatters have important legal rights. Third, one is considered guilty until proven innocent. Fourth, areas in the law that are the domain of states back home are federalized across the board in Brazil. Fifth, according to Brazilian sociologists, there has been a reluctance to get involved in issues due to collective memory of the Inquisition. Maybe thatÀ‚´s changing. And also deep suspicion of outsiders for the same reason. Sixth, no right turn on a red light. Seventh, the practice of going into hiding for 24 hours after an accident or police matter, to avoid immediate incarceration. what happened to you happens to many foreigners who bought farms in Brazil. local administrations, faked certificates of land ownership, hidden debts tying the land to the banks or those who lent money to the previous onwer, labor laws obliging the new owner to pay unpaid wages by the previous owner. Therefore as I often say, Brazil is a Tropical Mud full of crooks, at all levels, from the lowest to the highest. Worse, Brazilian Justice defends those crooks, or at best, do nothing to defend the laws ! Well i have had a small taste of them already . My wife a Brazilian and i have 600 hectors that we are trying to get a good working cattle ranch going on . We bought the place I put her name on the paperwork just in case i kick off before her there will be no 15 years in court settling my will . But back to the story for a year we built lakes cleaned land built fences using only her 5 brothers and father as labour , we built houses for my wife’s family and other family members . one day we put a large water pipe out the fence for the locals to get clean water to drink and wash with with in a week we had a group of thees land grabbers saying i had bought the land using eligible papers and documents and were demanding the land to be turned back to the Brazilian people ( THEM ) they set up camp at the water pipe , would not let anyone except them to use the water . they came into my land and took corn, fruit, chickens,and killed the wildlife . The police are nut less to work the mob went to court they did nothing as the gringo has no rights in Brazil , now my wife and her family come to the deal my wife mom 100% native Indian , her father is 50% Indian so the hole thing came down to native land owners or a political land grab . There goes the neighborhood, and with it any hope of governability. Tighten your seat belts.